Mark at Business Fiction approached me to help with a redesign of his website, to showcase his services as a copywriter, social media and content management specialist. By his own admission, Mark had struggled in the past to create something himself that completely met the needs of his business, so he brought me in to see if I could help. One of the strengths of Mark’s previous website was the quirky logo, so I was keen to make more use of this on the new design. Rather than tucking it away in the corner, I wanted it to form the basis of a simple yet striking homepage in order to capture the attention of visitors. 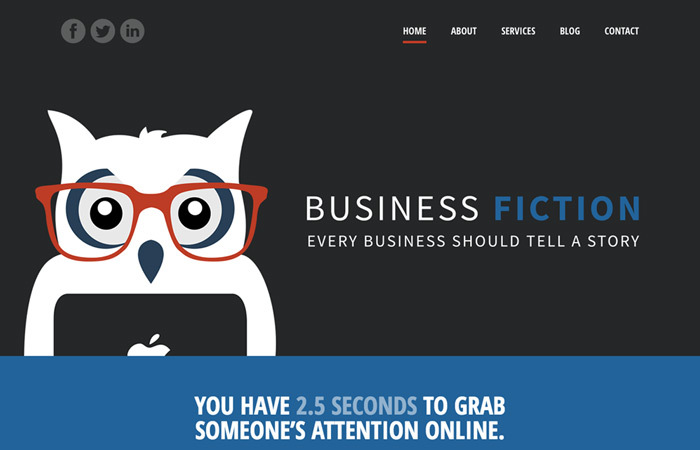 You can find further detail by visiting the Business Fiction project page. Femi at CXConversion specialises in guiding business owners through the process of putting together and implementing an effective Agile Marketing strategy. With offices in both Northampton and London, Femi works with a wide range of companies across the UK to improve their team’s performance and efficiency in the planning and execution of marketing campaigns. Having had a poor experience with another web designer, Femi was keen to work with someone who could create a professional and eye-catching website for a reasonable price. 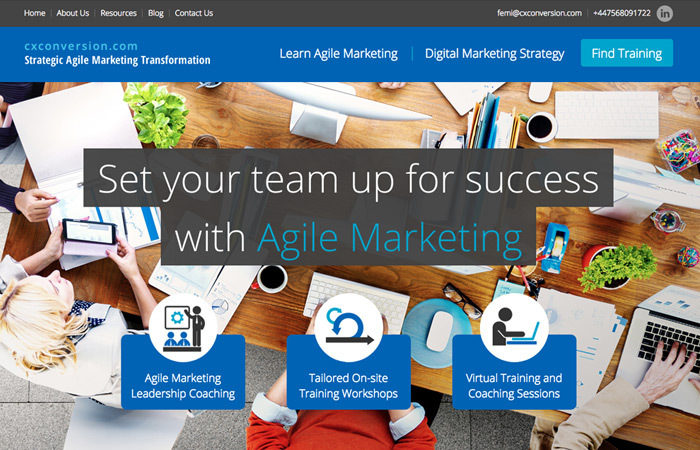 I worked with Femi to create a platform for him to share his expertise and passion for Agile Marketing, something that was easy for him to add to and maintain in the future. You can take a closer look at the finished website by visiting the CXConversion project page.